The company which owns a hotel beside Royal Dornoch golf course has backed the controversial Coul Links proposals – and announced plans for a £1 million hotel extension. It comes as the National Trust for Scotland, the country’s leading conservation charity, announced their formal objection to the 18-hole golf course, just north of Embo in Sutherland. 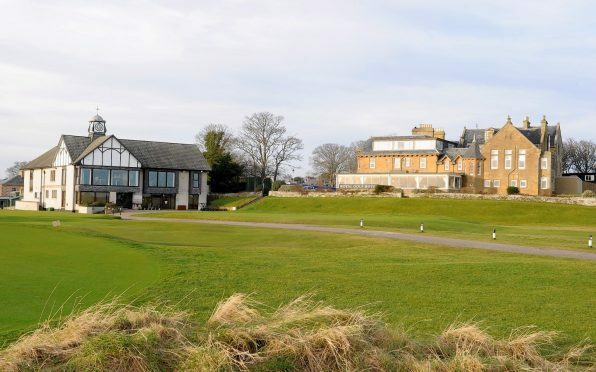 But Inverness businessman David Sutherland, lead shareholder in Dornoch’s Royal Golf Hotel, said the plans for Coul Links influenced him to “press the button” on their expansion plans for eight new double bedrooms for the existing 22-room facility. He says a rush in US golf bookings – and European bookings due to the weak pound since the Brexit vote – has created the demand and catalyst for the extension plans. Mr Sutherland said: “It would be a serious setback to the local economy if Coul Links was not to be allowed to join the area’s splendid golfing portfolio. “Their specialists are tasked with ensuring long-term biodiversity gain for the location. The Coul Links project is being spearheaded by Mr Keiser and US Businessman Todd Warnock, who owns the Carnegie Courthouse and Links House Hotel in Dornoch. The developers estimate Coul Links would create 250 indirect jobs and add £60million to the East Sutherland economy in its first 10 years, based on an independent assesment by BiGGAR Economics. But the project has also drawn criticism from residents, MSPs and conservation groups who say it will destroy a unique dune habitat in a Site of Special Scientific Interest, Special Protection Area and Ramsar (protected wetland) site. More than 70 people have submitted letters of support to the local authority’s planning department, while just over 40 have objected to the proposals. Yesterday, Coul Links project manager Chris Haspell welcomed the hotel’s investment as “proof” that the golf course is a catalyst for big investment and jobs. He added: “These things are real, not illusory. We’re finding that those with an actual stake in seeing the area thrive are backing our proposal.